Our Vienna bathroom furniture features an array of stylish designs that will complement modern homes. 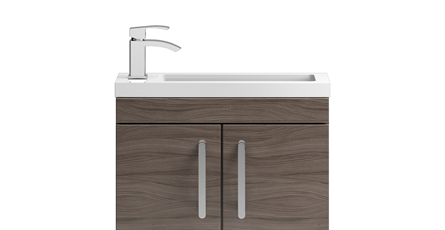 Choose from various grey vanity units, mirrors and WC units and create a contemporary finish. The Vienna furniture range comes in two different finishes, stone grey and driftwood. These colours are perfect for sleek, modern settings and you can easily match fixtures together for a coordinated look. Storage is an important part of any home, and our selection of grey bathroom furniture is designed to accommodate your toiletries and keep things looking organised throughout the room. A stylish, functional way to upgrade.